**Unilateral essential oil /** The essential oil is a kind of extract extracted from a specific part of the plant. It is not processed or blended with other essential oils. It can be used with a diffuser or with other essential oils. It must be properly diluted before it can be used on the skin. . **cypress/** ◆Latin name - Cupressus sempervirens ◆plant origin - Austria ◆Extraction site-leaf ◆Extraction method - extracting essential oil by distillation distillation ◆ Essential oil color - light yellow near green olive ◆Taste description - clear heart woody ◆Scent tonality - front adjustment / middle plate **Cypress essential oil effect /** ◆ Condition greasy, aging skin and promote scar healing. ◆ It can astringe and soothe the skin, regulate oil secretion, tighten pores, and increase moisturizing repair. ◆ Helps to regulate the imbalance of hormones. ◆The aroma conditioning method is recommended to be used by a professional aromatherapist. **Mind level /** It can eliminate fatigue, soothe emotions and purify the mind. 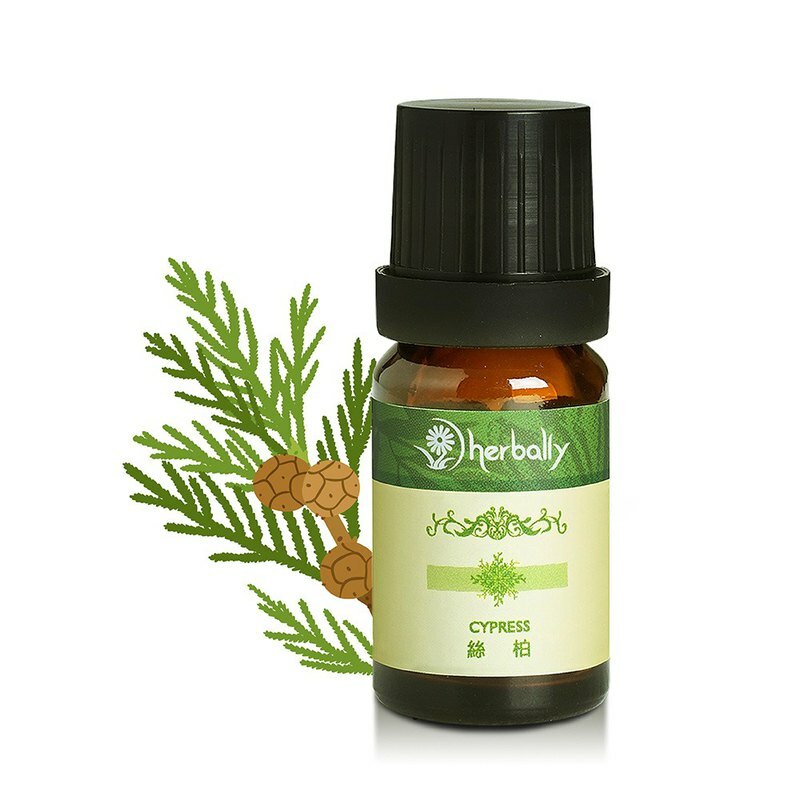 When life changes dramatically, using cypress can help adapt to the new environment and remove the depressed mood in the chest. Refreshing, fresh woody notes, enhanced attention, clear and invigorating. **Reconciliation advice /** The cypress essential oil can be the protagonist or the supporting role. The pure woody fragrance can refresh the mind. It can be blended with woody florals and essential oils to blend its fragrance with a base oil pressure massage. Woody - rosewood rosewood (flowers sweet) Fruity - sweet orange (round and sweet) Floral - Rosemary (smooth soothing) **Intimate reminder /** The cypress essential oil helps the blood vessels to shrink. Please dilute it under the guidance of the aromatherapist. The varicose veins should be gently rubbed around to avoid overloading the affected part. https://diz36nn4q02zr.cloudfront.net/webapi/images/r/SalePageDesc/3368711/image9.jpg?ts=165908 **Mode of use /** ◆Aromatherapy ◆ Bathing relaxation ◆With massage base oil ◆Cold/hot compress ◆Use handmade soap **storage method/** Be sure to use a dark glass bottle, and lock the bottle mouth at 25 ° C ambient temperature, avoid storing the essential oil in a humid environment or direct exposure to the sun to avoid deterioration of the essential oil (the essential oil does not need to be stored in the refrigerator). https://diz36nn4q02zr.cloudfront.net/webapi/images/r/SalePageDesc/3368711/image5.jpg?ts=165908 It is recommended not to use objects / ◆Children/Pregnant women/Breastfeeding ◆Broad bean disease ◆Low/hypertensive patients ◆Epilepsy patients ◆Sensitive groups **Precautions/** ◆ Essential oils should not be taken orally for external use. ◆ Do not use high doses and use them frequently. ◆ Please place it in a place where young children are not easy to take. ◆Physically sensitive, perform sensitive tests before use. ◆ Do not touch essential oils on the eyes, inner ear and mucous membranes. ◆The volatility of essential oils is high, please tighten the cap after use. ◆ Do not mix different brand essential oils to ensure the effect of essential oils. ◆The aroma conditioning method is recommended to be used by a professional aromatherapist. ◆ Essential oils are recommended not to use excessive amounts to avoid causing adverse effects and even causing excessive burden on the body. ◆Asthma patients are advised not to use steam inhalation method, please use it for nursed back to health. ◆ Essential oils are susceptible to light and heat, so put the essential oil in a blackout bottle and keep it in a cool place. ◆ Avoid diluting essential oils with plastic, soluble or oil-colored surfaces. Use glass, stainless steel or ceramics to dilute. ◆ Do not use broad bean disease, low/high blood pressure, epilepsy patients, pregnant women, and infants. If you need to use, please refer to relevant information or consult a professional doctor. ◆The above information provides reference for general oil users. The company's products do not involve any medical behavior. Aromatherapy is a natural treatment and cannot be regarded as orthodox medicine. If you have any discomfort, you should seek legal professional treatment to avoid the best time to delay medical treatment.